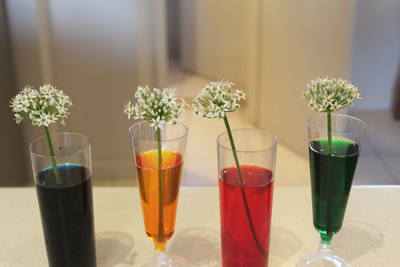 Here's a fun craft activity that doubles as a science experiment. It doesn't take too much time to get set up, and kids will have fun checking every few hours to see how the flowers have changed. 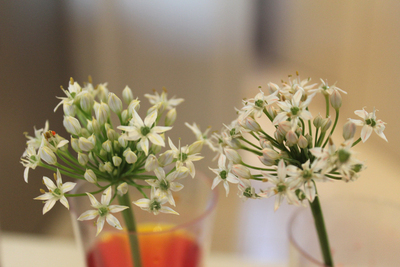 It's best to use white flowers, because the colours are more pronounced. 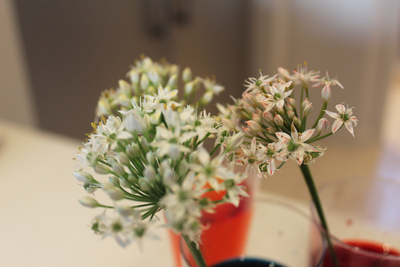 Carnations and daisies both work great. 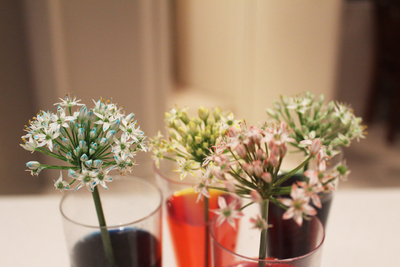 Pick some white flowers, and cut them so that they stand nicely in your chosen glass/vase/bottle. Fill the glasses with water. 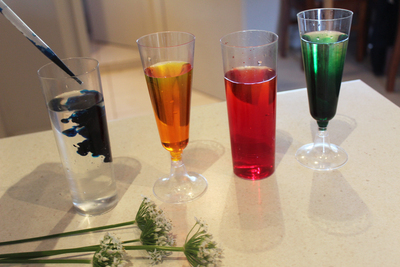 Place a few drops of food colouring in each glass. Get some cheap pipettes from somewhere like eBay. They're better for food colouring because you're less likely to dye your hands, but they also make the experiment a bit more science-y. 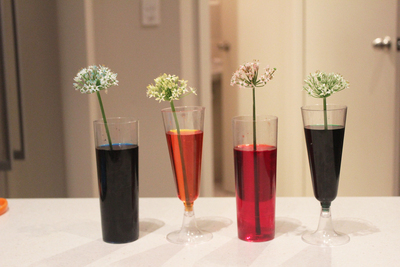 Place a flower in each glass. Now you can all just sit back and let the flowers do the work. 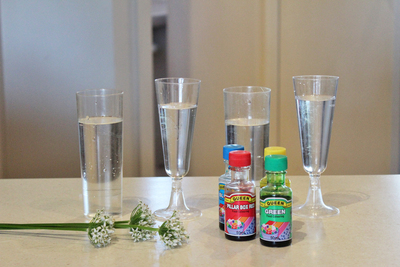 Encourage kids to check the flowers every hour, and they'll see how the colours change as the flowers 'drink' the water. If they take pictures they can even document it.